Coker College’s M.Ed. in Literacy Studies is now an entirely online degree program. Now all of the college’s graduate programs are entirely online degree programs. Coker’s M.Ed. in Literacy Studies was previously available as a program that combined a classroom component and an online component. Making the degree program an entirely online program gives all South Carolina teachers the option to earn their M.Ed. from Coker College without having to travel. Graduates of Coker’s M.Ed. in Literacy Studies program will qualify for the South Carolina Department of Education’s Literacy Teacher add-on certification. As a Certified Literacy Teacher, they will be able to maximize their impact in the classroom and qualify for advanced positions, such as classroom instruction, curriculum development, reading specialist or coach, or an administrative position. Coker’s M.Ed. in Literacy Studies aligns with state initiatives and addresses our state’s educational goals by directly serving one of our students’ greatest needs. Areas of study for Coker’s M.Ed. program include the foundations of reading, literacy assessment, classroom inquiry, instructional strategies for struggling readers and diverse students, and instructional leadership. In addition to being an entirely online program, Coker’s M.Ed. in Literacy Studies offers affordable tuition rates and an accelerated, manageable schedule of 11 six-week terms. Coker also offers its Excellence in Teaching Scholarship, which includes one full-tuition M.Ed. in Literacy Studies scholarship for a S.C. teacher that has been honored by their school, district, and the S.C. Department of Education with the designation of Teacher of the Year. For more information about Coker College’s M.Ed. 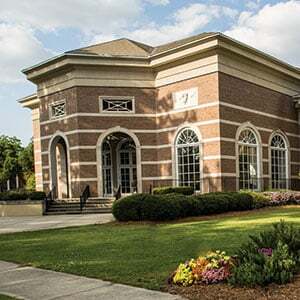 in Literacy Studies, please visit https://www.coker.edu/admissions-aid/graduate-students/master-education-literacy-studies/.